Amandas Dark Chocolate Covered almond nougat. 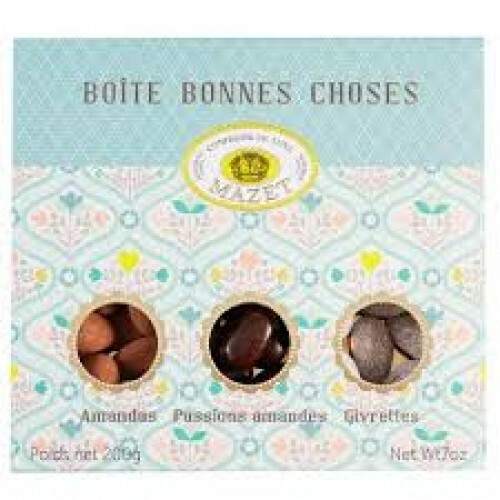 Passions Amandes, Dark chocolate covered almonds. 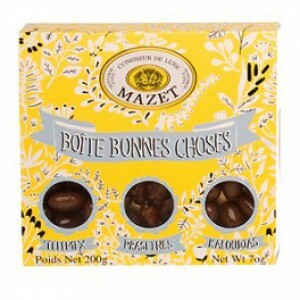 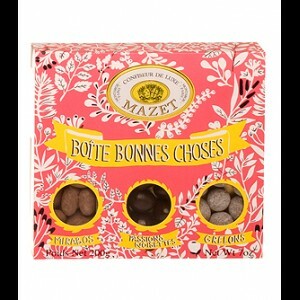 Givrettes, Milk chocolate covered caramelised almonds.